For any Liverpool fan, the thought of playing alongside one of your heroes is something that dreams are made of. For one man, that dream was to come true, and continues to inspire him as he passes on his experience to a generation of players at LFC International Academy Egypt. David Ridler knows what it takes to succeed as a footballer. Having played more than 200 games as a professional himself, been part of several high-profile FA Cup giant-killings and played alongside LFC legend Ian Rush, the likeable scouser is now using his wealth of experience to coach youngsters in Egypt. 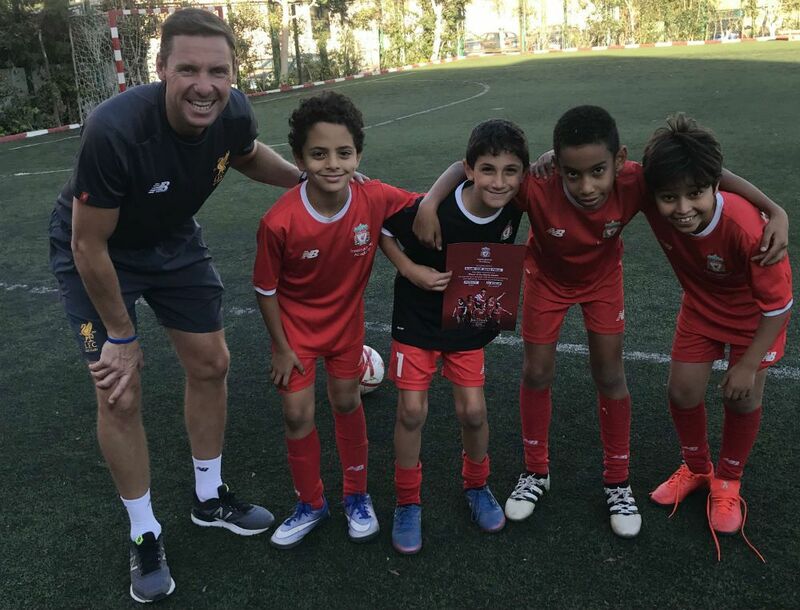 As Head Coach of LFC International Academy Egypt for the last six years, David has helped develop one of the most successful programmes of its kind, guiding hundreds of young players through the International Academy curriculum to help them improve on and off the pitch. His move to Egypt followed nearly five years of coaching on LFC Soccer Schools and at other LFC International Academies around the world. His whole family moved out to Egypt with him when the opportunity arose, and it’s not a decision he regrets. “I love it,” David says proudly. “My family love it and we appreciate everything we have here. We have achieved a lot of great things so far and it’s such an honour and a dream come true promoting Liverpool’s name and the International Academy program. That decision to give up his season ticket on the Kop may not have led to playing for Liverpool, but through determination and no lack of talent, “Rids” did forge a strong career for himself as a professional footballer, playing almost entirely as a defender. He came to it late in the context of today’s game, not earning his first contract until he was nearly 19. His time with the North Wales club was a successful one. He played more than 100 games for Wrexham, a spell that also included winning three Welsh Cups. However, it was the English FA Cup that was to provide some of his favourite career highlights. “At Wrexham, we always had a great FA Cup experience. We reached the quarter finals one year, playing against the ‘Crazy Gang’ of Wimbledon and drawing with them at Selhurst Park before losing at the Racecourse Ground in the replay. Marking Vinnie Jones was a great challenge for me! During his time at Wrexham, Ridler also played against the likes of David Beckham and Eric Cantona during a behind-closed-doors game for the latter as he built up fitness following suspension. But when it came to sharing the field with legends of the game, for David there was only one player he thinks about. The great Ian Rush, a team mate at Wrexham. “Playing and training alongside Ian Rush was unbelievable” he recalls. “I had a season ticket in the Kop at Anfield for years and used to watch him scoring and tearing teams apart. Can you imagine watching and singing about a Liverpool legend, and then the next minute you are playing with him in the league for Wrexham?! “I remember scoring my first league goal against Burnley at Turf Moor. Ian Rush was playing and was the first player to congratulate me. After Wrexham, David would go on to play for Macclesfield Town - where again he tasted FA Cup success by knocking out West Ham – before joining Shrewsbury who had just been relegated in to the Conference. Again, he played his part in a successful season, helping the club to win promotion back to the Football League immediately and forming part of the best defence in the division. Following his playing career, David initially took a break from the game completely. It wasn’t long before he missed football, and decided to begin taking his coaching badges with both the English and Welsh FAs. Now, he has a host of top coaching qualifications to his name, including both his UEFA A and B licenses of which he is rightly proud of. He put the qualifications to good use, and when the opportunity came for him to apply to join the LFC International Academy recruitment drive some 11 years ago, he jumped at it. 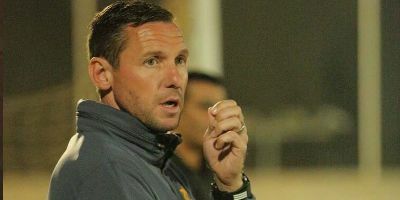 Given his determination to succeed throughout his career, it was no surprise when he successfully progressed from the recruitment programme and began travelling the world with the Club for coaching. Six years ago, the opportunity of a lifetime was presented to him. 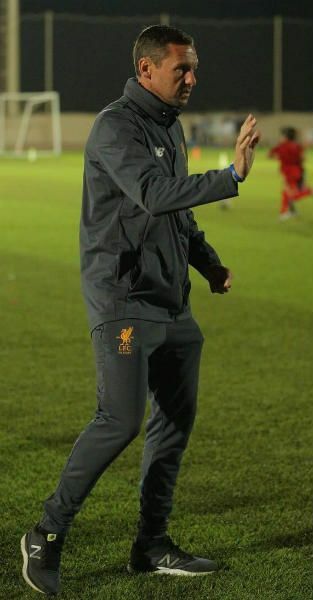 David recalls: “I had been working on the Liverpool International Academy circuit as Head Coach. I was enjoying visiting different countries and coaching at different levels so decided to ask the Head of the International Academy if there were any full-time opportunities in the pipe line. “Before I knew it, I met an Egyptian businessman who had been over to the office in Chapel Street to sign a partner contract with Liverpool. He asked me if I was interested in going out to start the LFC IA in Egypt program so I decided to go for it. “I set everything up from nothing - we didn’t even have a football at that point. When I came to Egypt I was alone, I didn’t know anyone or anything about the culture or where I was going to live, I even left my wife and new born son in England after discussing the opportunity with my wife. When the LFC International Academy Egypt was officially opened and launched, there was a visit from a familiar face as part of the publicity around the event, and a story that David will never forget. “When I first arrived in Egypt on my own to start the program, Ian Rush made a visit a few weeks later to launch the program officially. “During his stay we were taken to the Pyramids. The only thing was, they put us on a horse each. Ian’s horse was going crazy, jumping up and down and nearly tipping him off. He kept saying to me; ‘Rids, tell them to get me off this horse! I don’t even want to see the pyramids!’. Today, David’s wife and child now live out in Egypt with him, fully-embracing life as part of LFC’s International Academy. The program itself continues to grow and to improve every year, while the infrastructure and facilities are also some of the best around. “LFC International Academy Egypt is becoming more successful every year and it makes me and my family so proud. The support here from the Egyptians is amazing, and the Egyptian people are lovely. It’s such a beautiful country. David’s career as a player influences the work he does on the training pitch, and he is also keen for the young players to learn some of the fundamentals of football. He explains: “My playing has not just helped me as a coach, it’s helped me a lot in all areas. This includes dealing with partners, parents, players, other academies and the Egyptian League. “It gives me confidence knowing I have the experience of my career to help me and it also earns me a lot of respect from the local coaches. “Things are not easy to achieve. I always stress to the children that you have to work and try as hard as possible to be successful in anything you want to do. For more information about the LFC International Academy, and the courses that are available around the world, visit lfcinternationalacademy.com.